Here’s an analysis of the ballyhooed 11.2% McHenry County tax cut. It is by Swampbuggy, a commenter on McHenry County Blog. 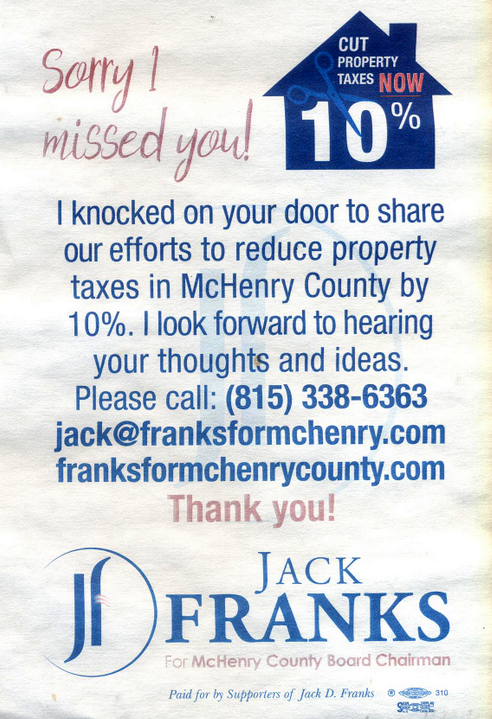 “Sorry I missed you!” is printed on this message with Jack Franks’ “Cut 10” logo featured prominently on top. Note that the promise is not to cut county taxes by 10%. Note the wording is “to reduce property taxes in McHenry County by 10%. savings attributable to new technologies that have become available. This blog while informative, just doesn’t have the followers other media does. Swampbuggy should write a NWH LTE, or ask to be a NWH guest Columnists to get this valuable info out. Maybe Dan Profit, ECWd, or WTTW as other sources of transparent info. I agree 100% about the media aspect. Have you seen anything ever written bad about Jack Franks in the NWH? People need to start calling it the Franks Hearld! However, anyone that writes on this blog or sees this blog should be starting to write letters to the editor! If you don’t, find someone that will! You can write it and they can send it in! Franks does it all the time! But a all out campaign needs to be done against Franks! If it doesn’t start consistently happening then everyone quit bitching because you get what you get! if you are on social media such as Facebook post your thoughts there. Facebook is a powerful tool just go to Franks page and see the uninformed! You are looking as stupid as Nob. Do you not understand that they do NOT print letters to the editor? They only print the idiot letters. No self-respecting person is ever published. Gave up on them years ago. You all need to abandon their fake news and let them go into oblivion. Facebook is CIA and the enemy. All mainstream media is CIA. Why do you people not understand how to fight this war? Well the NHW has published LTE from both sides of the isle, plus have allowed guest columnist from both sides also. Facebook is a good idea also. Perhaps if you suggest plugging the plug you should take your own good advice and do so Gadfly. In defense of the NWH (which I don’t do often) they have printed every letter Have ever sent them.. Some were anti Franks but most were about guns…..
now the NWH has a new feature writer which I believe is doing the same thing…………. Bill? Then you have a much better track record than I.
I am talking many years ago, now. Way back in the day I stopped trying to wrestle with them. If I got one a month to see the light of day I was extremely lucky. Then they put in that ridiculous rule about too many submissions. How is that free speech? Then they blocked my IP address from comments. (And I was seriously the only thing keeping their comments lively. I had followers before that was even a thing. The paper even tried to do a human interest piece on me. They were very flattering and wanted an in-depth interview as to the person behind all the comments that actually drove their site, or so they said. I told them it wasn’t about me. They should not try to make it so. They have always been a communist rag. For a short time I made it lively (perhaps a few years or more). @The Nob – Swampbuggy oddly says exactly, verbatim, to-a-T, what Mike Walkuyp said at the county board meeting last night. It’s very interesting that both Mike and Swampbuggy keep criticizing an 11.2% cut while Swampbuggy aka Mike did nothing while on the board! Mike, what do you have to say for yourself? Is McHenry County Blog still blocked from McHenry County government wifi? Did the NW Herald explain that the property tax reductions were due to the 6 points outlined by swampbuggy and not anything that Chairman Franks and the Board did? They are not covering the Board. Just republishing Kevin’s press releases. Swampbuggy, aka Walkup, is uncharacteristically short on details concerning the cuts. I would be curious if he could actually put attributable name/numbers. Please do tell of these efforts by other, unnamed people and the new technologies that led to a 10% cut that he abhors. Last year the majority on the County Board made possible the supposed “cut” that is being shouted to the rooftops now. The County Board increased Property taxes last year $3,135,594.93. 1 Fire District, 1 Library District plus MCC and MCCC reduced their property taxes last year. Those government bodies who reduced their property taxes accounted for a total reduction of $6,474,895.68 in property taxes = twice the amount that the County Board increased their property tax. The County Board is responsible for over 26 % of the total County property tax increase last year which was $11,873,215.80. Now we have a so-called Chairman shouting about “CUT 10”. The taxpayers in this County know better. Municipalities in total REDUCED THEIR PROPERTY TAXES LAST YEAR $698,316.24. Township Road Districts REDUCED THEIR PROPERTY TAXES LAST YEAR $508,616.28. Township Boards REDUCED THEIR PROPERTY TAXES LAST YEAR $629,329.31. School Districts (in total) INCREASED THEIR PROPERTY TAXES LAST YEAR $2,994,417.30. Library Boards INCREASED THEIR PROPERTY TAXES LAST YEAR $311,858.24 . Fire District Boards INCREASED THEIR PROPERTY TAXES LAST YEAR $1,517,032.88. Many of the County Board members who are now advocating property tax reductions for other units of government are the same ones who voted for the increase last year. Have the taxpayers been ‘dumbed down’ so much they do not realize the Chairman and his cohorts are trying to pull the wool over their eyes? BTW U.S. Census reports for 2016 show that Firemen and police in this state are still some of the highest paid in the country and library employees are second highest paid in the country. Transit workers rank fifth highest paid and Park district employees are sixth highest paid. One more little tidbit: Only one other State has MORE public sector pension plans than Illinois and only two states have a heavier public sector pension burden than Illinois. The problem in Illinois is not the number of units of government – the problem is we pay public sector employees more than the taxpayers can afford plus our public sector pension guarantee is strangling the taxpayer. Add this to our liberal use of social welfare programs and you have a taxpayer disaster in the making. Don’t disagree with your assessment however if I didn’t forget there was an amendment last year when voting for budget year 2018 at the county that there was a minority of voters that wanted to abate the Valley Hi Levy for the 2nd yr in a row. Which you can do 2 yrs in a row without losing the levy. The 3rd yr. you either have to take it or get rid of the levy. But if I recall there was a minority of board members that wanted to do that however were out voted. And one thing people need to understand is that if you keep a levy flat year after year the taxing bodies overall budget still goes up! You either have to keep the same budget or lower the budget to actually see savings on your tax bill. 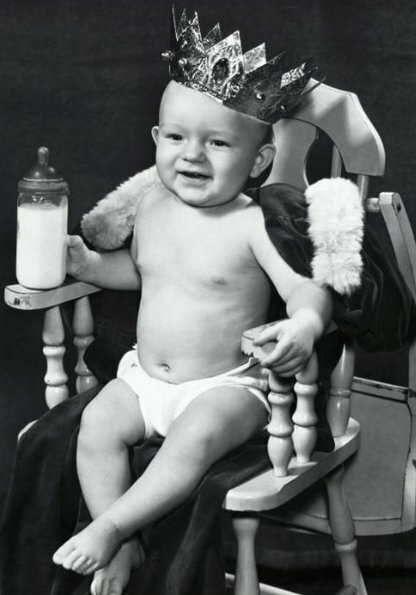 Moderate when he was a toddler … some things never change! The bottom line is that the majority voted to make it a ‘no brains required’ task for the current Board Chairman and his majority to claim they cut taxes when truth be told, we, the taxpayers ‘took it in the shorts’ last year. What’s that weird symbol on loser Franks’ “Sorry” card? It’s kinda creepy, just like him! To keep the Valley Hi levy it has to be taken in alternate years. Keeping the levy flat is actually a tax reduction as it means that the taxing body is not keeping up with the lowered value of money so it is having to make do with less. If the levy is raised by the same amount as the rate of inflation, it is simply keeping the tax the same relative to the reduced value of the dollar so it is not a “tax increase”. By taking the Valley Hi levy only in alternate years, the Board is effectively cutting the levy in half, averaged out. It is untrue that Walkup did nothing on the Board to cut taxes. He led the fight to zero out the Valley Hi levy the year before the election in which he lost. Cal has a valid point but Walkup was one of the YES votes last year which made it a ‘no brainer’ to reduce property taxes this year. I personally support selling Valley Hi to the highest bidder. Then hold a referendum to eliminate the 708 Board and the Senior tax. Since the ‘crunch’ in 2008, the County has raised property taxes 7.35% while Townships have reduced their property tax burden .81% and school have raised their property tax 13.11 %. Was that the same people that voted to abate Valley Hi levy? Another subject the Northworst Herald falsely covers. moke and mirrors, headline grabbing boast about something that was to happen anyway and it didn’t require The chairman or the board! Abatement is not a cut! The Herald also refuses to cover many of the REAL Algonquin Township articles of serious allegations and FBI investigations of Bob Miller, former Highway commissioner. Probably because Franks suggested him for the County Board. People should be clear about the Valley Hi tax levy. First of all, the voters approved a tax levy of about 5.5 Million Dollars in a referendum in 2002. This was collected for several years but a surplus developed once new management was brought in and the Board decided to increase the number of private pay and Medicare beds over Medicaid. Annual deficits are now running about One Million Dollars, give or take. However, all of that is depending on the state paying up which is problematic, to say the least. Things could go South in a hurry at any time. Therefore, over the past several years, the levy was ratcheted down to around 2.5 Million Dollars. Due to the tax cap legislation, once the levy is lowered, it can’t be brought back up other than for the cost of living or 5% whichever is less. Therefore if a problem is encountered in the state payments, the reserve has to be tapped. Three years ago there was pressure to cancel the levy completely and live off the reserve until it was depleted and then go to another referendum. Had the referendum failed, Valley Hi would then have to be sold. In response, the county administration discovered that the county could skip the levy in alternate years and then reimpose it the following year, without losing the ability to collect the levy. This is called a “Look back”. This therefore results in a paper “tax increase” in the years the levy has to be imposed and a paper “tax decrease” in the year it can be skipped. Overall, however, it means that the levy has effectively been cut in half, down to about 1.25 Million Dollars as compared with the original 5.5 Million Dollars authorized by the voters. This is just slightly over the annual operating deficit, so further accumulations on the reserve are slight. However, some people and politicians like to claim that taxes have been “raised” in the year when the levy has to be imposed, and conversely, try to take credit for “lowering taxes” in the years when it can be skipped. This year there was therefore a “tax decrease” because the levy could be skipped. Next year it will have to be imposed again so there will be a “tax increase”. If people want to play games with that, then that’s what they will do but informed voters should not be fooled. Is Walkup stating that the County could not legally transfer funds from the General fund to pay for any shortfall at Valley Hi? aye: Wheeler, Barnes, Evertsen, Hammerand, Barnes and Thorsen. Jung, Kopsell, Kurtz, Martens, McCann, Nowak, Rein, Schofield, Skala, Smith and Gottemoller. Note that Walkup was one of the nays. Cal? While you are separating everyone’s comments into spaced out single lines instead of the original paragraphs they compose you are making your comments section EXTREMELY difficult to read! I have the opposition opinion of what is easier to read. Packed copy, I believe is harder to read. Such transfers have definitely occurred. I say that paragraph format is easier to read, assuming that commenters know how to compose paragraphs. Deconstructing paragraphs into a list of sentences makes it harder to read and cannot be justified. I strongly disagree with you Cal. Paragraphs do not equal packed copy. We have paragraphs to organize thoughts. Paragraphs show that subjects change. The way you have the text formatted – it’s all gobbledegook. You cannot tell where one subject starts and another begins. You cannot tell what thought processes you are trying to follow. 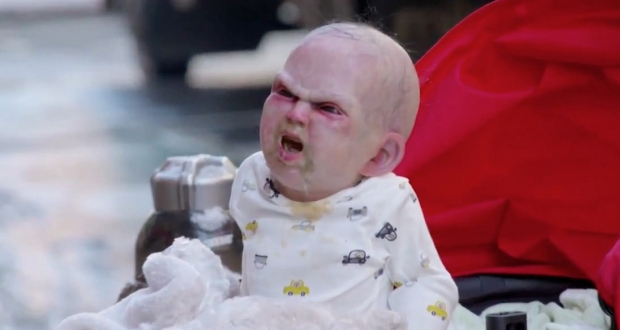 You are rendering your comments section into incoherent ramblings. It is NOT easier to read. It is helter-skelter disordered language. It takes a lot longer to try to read the comments when you spit them out as a few words at a time to form those short lines! CAL!!!! I am really very angry about this. Awhile ago I complained about your use of the iridescent blue type you love to use because it hurts my eyes. You won that battle. It’s your blog! But this “packed type” thing is past ridiculous. You use paragraphs in your blog posts. Why are we not allowed to do the same? I have no problem with anyone using photographs. Indeed, during the fall election, someone figured out how to do that without a link. I’ll be happy not to change the spacing in your comments. VH budget deficit is a recent occurrence, for nearly a decade it ran at a profit. The recent “operating deficit ” could be arguably described as curve-fitting on response to political pressure by taxpayers agitated about a $42 million tax dollar surplus earning almost no interest and at risk of loss above fdic insurance limits. If Illinois doesn’t pay its Medicaid bills (for which it is reimbursed by Feds), what will happen? Every single nursing home not backedstopped financially by County taxpayers will be looking to turf Medicaid patients out anywhere that’s obliged to take them. Will federal government stand by and let every nursing home in Illinois shut down due to Springfield malfeasance? Here’s Llavona’s comment in Spanish. People are assuming their property taxes will drop 10%. School taxes are about 50% of your total property taxes. So in reality the tax savings you will see are only about 5%. In my area of McHenry County, school taxes are about 67% of the total bill. School taxes is the low hanging fruit ripe for cutting. That would be by combining districts and eliminating many redundant “administrative” job positions. The dismissed administrative personnel will not begin to cover the increase in salary costs to bring grade school teachers’ salaries up to those in any high school. 10% of ten percent is 1%. Michael: Not only are the school portion of the taxes more like 70% than 50% but there are other taxing bodies in the remaining 30% such as municipalities, library districts, park districts, and voter approved levies for Conservation District, Mental Health Board, Valley Hi, and Senior Services. The portion over which the County has control is about 9%. So the “reduction”, which is actually a one off windfall that will not likely be carried forward after this year, is only 1% of the bill. The average tax bill in the county being around $5200 this is about $52. If a school board were to do the same thing, it would be around $350. SO my humble suggestion is that people start digging down into their local school district budgets and show up at their school board meetings armed with specific information about where they think cuts could be made. Also they need to start showing up at the Spring elections in odd numbered years which is when the school board members are elected. The above is a link to an article about how consolidating school districts in Illinois could save multi-millions of dollars in salaries and pensions. Illinois leads the Nation in the amount of districts vs students served. Far too many districts than are needed and can be justified results in redundancies in job positions and uneeded extra costs to taxpayers. The ranks of non-teachers – such as administrators, counselors, teacher aides and cafeteria workers – has swelled 130 percent since 1970 and they now make up 50 percent of all public school employees according to a new study, The Hidden Half: School Employees Who Don’t Teach. From 1970 to 2010, the number of students grew by 8.6 percent, while the number of non-teaching personnel increased by 130 percent. Non-teachers now consume over a quarter of all education expenditures, the study found. In addition, America now spends a greater percentage of its education funding on non-teachers than any other country in the world besides Denmark. Please dispute the cost-benefit figures I found, if you can.